interest in looking at it. Please pass this on." 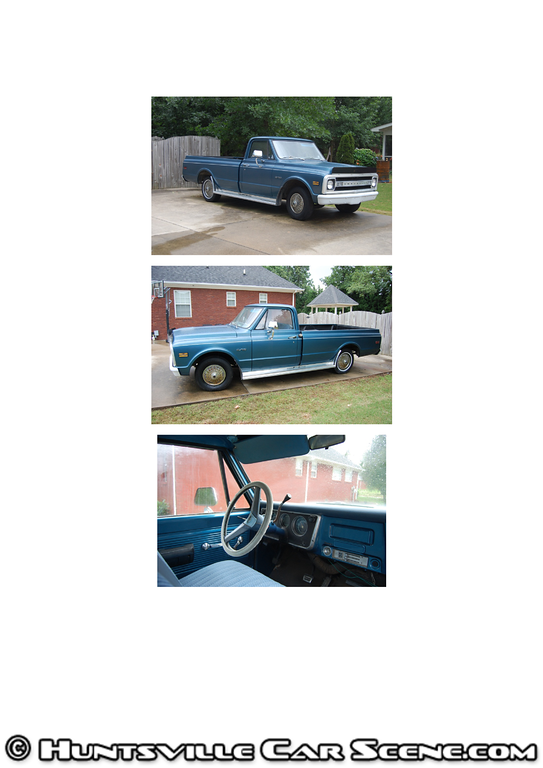 Vintage blue, rebuilt 307 engine (400mi since rebuild), Edelbrock intake, automatic transmission, fresh interior, new paint, new battery, sprayed bed liner, aftermarket aluminum running boards. 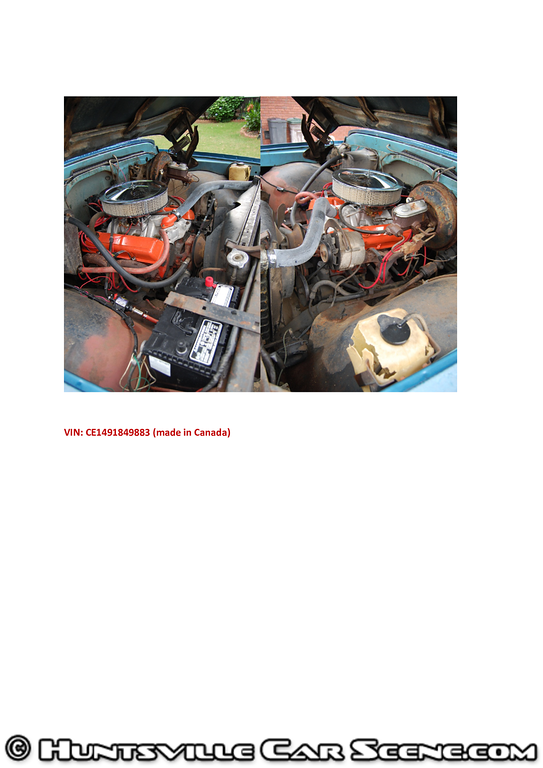 Truck runs well, needs detailing and possibly fresh tires. More pictures upon request. $8000 obo. Call 256-881-4748.
i'm not interested in it. 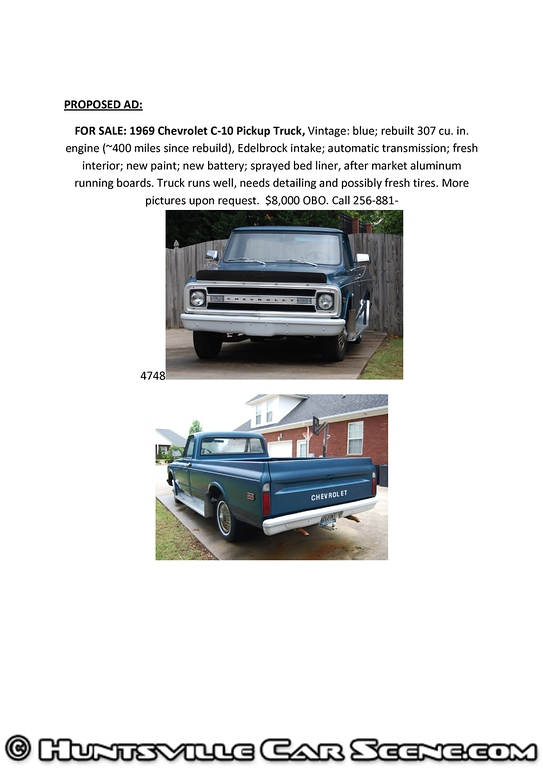 i love these old trucks, but the price point on this one isn't even close. i know where a couple VERY nice examples of the these trucks are for under 10K.